The 2018 Nissan Altima offers a bold exterior design. From powerful lines to available LED headlights, Altima is a modern vision shaped in the wind tunnel, and then achieved through innovative manufacturing processes. The result? 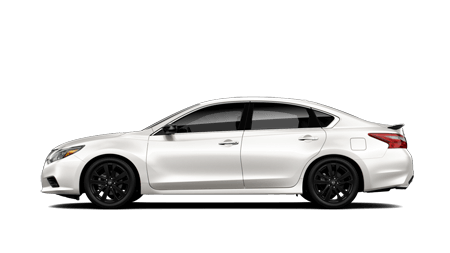 A beautifully designed sedan that turns heads as much for its looks as it does for its craftsmanship. The Nissan Altima's aerodynamic exterior design is further enhanced by the available Active Grille Shutters (4-cylinder trims only) that automatically close at highway speeds to decrease wind resistance and boost efficiency. 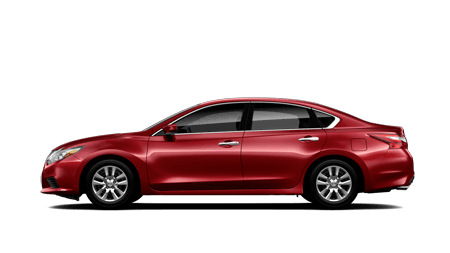 Test Drive this exciting new Nissan Sentra at Metro Nissan of Montclair or call (800) 970-0292 today! The 2018 Nissan Altima offers a a suite of available Nissan Intelligent Mobility features, Altima helps you see and sense more around you, and can even step in and take action to help keep you out of trouble. Altima with Nissan Intelligent Mobility makes it easy to stay in touch with the world around you. From finding a new restaurant and keeping up with your social life to providing an immersive musical experience, Altima's available technology puts connectivity at your fingertips. Test Drive this exciting new Nissan Sentra at Metro Nissan of Montclair or call (800) 970-0292 today! Here at Metro Nissan of Redlands our experienced sales people will make sure that you find the Nissan you have been dreaming of. We also want to make sure that your car buying experience goes as quickly and as smoothly as possible, because we know that your time is valuable. We will make sure that we listen to all of your needs and wants in a vehicle so we can put our best effort into finding the vehicle that fits your lifestyle. Shop our New Vehicle Offers and our Pre-Owned Vehicle Offers, or our Service Offers. When you're ready to experience all that we have to offer and go for a test drive, make your way over from Mentor Nissan of Redlands, CA to see us! Please stop by our Nissan of Redlands Dealership for a complimentary beverage & test drive or give us a call at (866) 734-8863.